Health insurance cover for 95% of Chinese? More like 30%. For the last few years the official Chinese media have been proudly trumpeting the claim that almost all Chinese are now covered by government-funded basic health insurance. Health minister Li Bin's recent statement that "China's public insurance schemes have achieved over 95% health coverage in urban and rural populations" was accepted and repeated uncritically by Lancet editor Richard Horton on a recent visit to China. A survey of more than 600 migrant workers carried out by researchers from the National Center for Chronic and Non-communicable Disease Control and Prevention in Beijing found that only a third had health insurance in their place of residence. This is probably because health insurance is provided according to the hukou (residence permit) by the authorities of a citizen's hometown, and that is not the place of residence for most migrant workers. But even in their hometown, only about 60% of migrant workers had health cover. The researchers, including an actuary from the China Life Insurance Group, said the low rates of health insurance cover were likely due to a number of reasons, including lack of awareness and inability to negotiate the system and its paperwork for poorly-educated rural residents. And as well as having poor coverage, health insurance cover had little depth in the real world - it did not cover most of the expenses for those who had it. The study showed that rural migrant workers faced high out of pocket costs for health - averaging 2000 yuan a year in gross average payouts and more than 1000 yuan per person per year even after upfront costs had been reimbursed. The authors conclude: "overall the coverage depth of basic insurance is still very limited, and the insured in China still end up paying a high amount of medical cost out of pocket. In addition, the floating population has a lower coverage rate than the general population, which further diminishes the protecting effects of insurance." My take? China's government deserves credit for trying to bring in universal health insurance. Unfortunately, the implementation has been patchy and has favoured the urban, employed and middle classes. 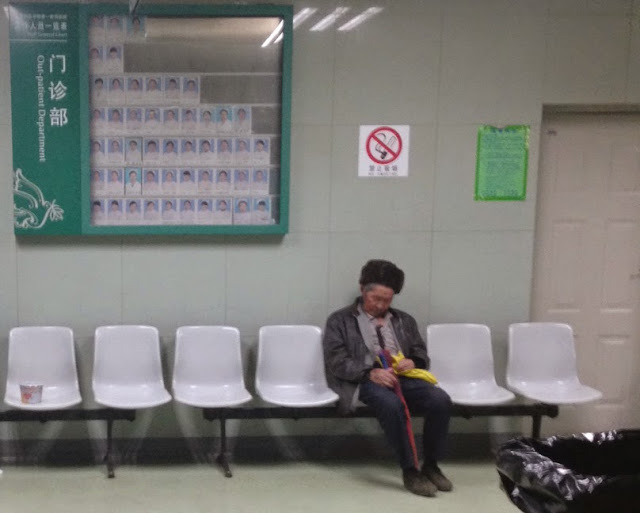 Claiming 95% coverage may sound good at WHO conferences and on the front page of China Daily, but the reality is that effective health coverage is nothing like that level. And the biggest losers are the rural migrants. Somehow, Xi Jinping's "The China Dream" left them behind.